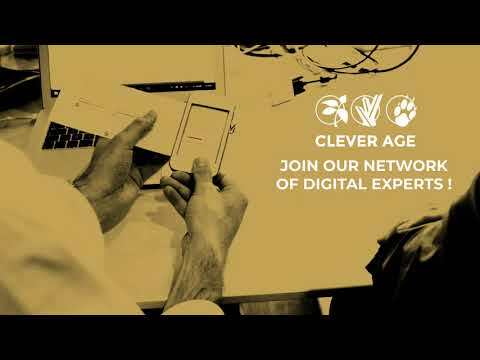 Clever Age is a full-service agency covering the entire digital production chain. We provide consulting and technology services to help clients define and implement their omni-channel strategy. We are recognized as a leading digital transformation company. Our knowledge of the whole omni-channel ecosystem, our independence from software vendors, and our involvement in project implementation make us a legitimate partner to support any customer who wants to leverage digital technologies to bring value to their customer and differentiate from the competition. We operate in a constantly changing industry: new concepts, new technological solutions… The market needs a player that is both independent and actively involved in projects, so that organizations can make informed decisions. At Clever Age, you will have the opportunity to work with world leading software vendor (Salesforce, Informatica, SAP, Gigya, ...), on cutting edge frameworks (Spring, Symphony, React, ...) and being involved in large scale projects. Clever Age is committed to recruit professionals from different horizons with complementary personal, educational and professional backgrounds. We like to work in a healthy and relaxed atmosphere. Our everyday relations our positive and friendly. Everyone works autonomously, in an atmosphere of mutual trust and support. We multiply opportunities to get together and talk about our digital expertise. You can attend or lead our technical meetings, participate to coding evenings, write blog articles, or become a speaker in conferences. But let’s not only talk business. We also organize more festive events. What’s the #1 reason you chose Clever Age? Being autonomous and working in mutual trust with my managers. Follow Clever Age to get updates about new jobs.